This new application for a Federal Firearms License (FFL) should be used to apply for all FFL types, including type 03 Collector of Curios and Relics. All Responsible Persons must complete and submit Part B of the application, which is the Responsible Person Questionnaire. Supplemental Part B Questionnaires can be found at the below link. For all license types- except type 03 Collector of Curios and Relics- applications must be accompanied by one 2"x2" photo of each Responsible Person (RP) on the license, and one FD-258 (Fingerprint Card) for each RP on the license. Below you will find links to the required documents that are necessary to ensure a complete application. Applicants may print forms on standard white paper, but fingerprints must be taken on an FD-258 Fingerprint Card. To receive a license as a dealer (including pawnbrokers & gunsmiths), importer, or manufacturer of firearms, you must intend to engage in a firearms business. You can expect to be contacted by an ATF officer during the application process. You will be required to prepare and keep detailed records of all firearms transactions. Your records and premises will be subject to inspection by ATF officers. ATF notifies State and local authorities regarding applicants for Federal firearms licenses. State laws or local ordinances may require additional licenses or permits for firearms licenses. Other State or local requirements, such as cash bonds, liability insurance, zoning restrictions, collection of sales taxes, etc., may also apply to your proposed firearms business. You should contact your State and local authorities for specific information on their requirements. Firearms licensees should contact the Internal Revenue Service for information regarding business operations and Federal income taxes. When requested by ATF, licensees are required to furnish information regarding firearms traces. In accordance with 33 U.S.C. §1341, ATF forms 5000.29 and 5000.30 are required only for those licensees whose activity may result in a discharge into navigable waters. 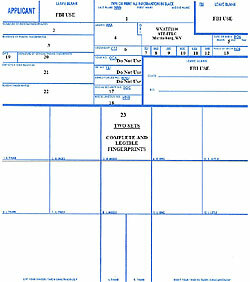 The determination of whether the forms are required is the responsibility of the applicant, but may be verified by ATF during the qualification or compliance inspection or other times. Not all applicants will need to submit the forms. Generally, the forms will be required for manufacturers and only if the activity may result in a discharge into navigable waters. If applicable, the forms will be collected by field office personnel during the inspection. The applicant may face consequences for non-compliance. Once an applicant has provided these forms to ATF, they must maintain current and valid forms with the ATF or risk revocation under 18 U.S.C. §923(e). Adobe Reader Disclaimer: You must have the latest version of Adobe Reader on your computer to fully utilize all the forms on this site. Failure to use the latest version of Adobe Reader may lead to errors on the form, and difficulties when correcting items on the form. You can download software at: Free Adobe Reader Download. White Paper Disclaimer: Applicants may print completed forms on white paper, but fingerprints must be taken on an FD-258 Fingerprint Card. Hispanic / Latino - "H"
Black or African American - "B"
Native Hawaiian / Pacific Islander - "P"
White / Caucasian ? "W"
Firearms License - "Firearms Background Check FFLC"